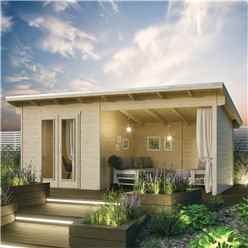 The Oasis Log Cabin and Entertainment area is the perfect addition to your garden, giving you the extra space you require. The cabin features 28mm log walls and double doors. 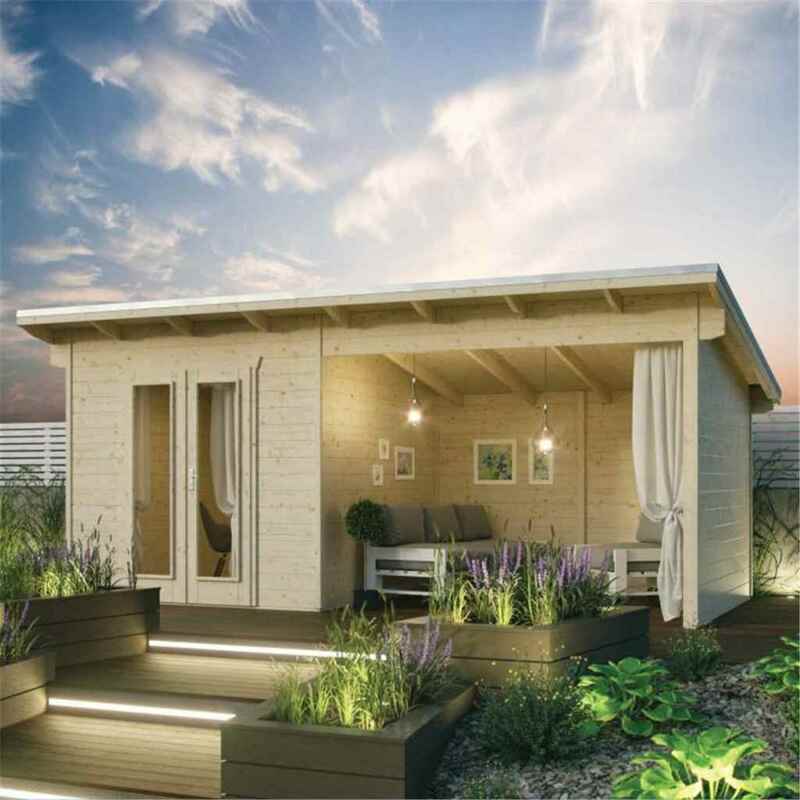 The cabins contemporary pent roof design makes it an attractive feature for any garden. There is a sheltered entertainment area for those long summer evenings and a separate lockable room which can be built on either side.